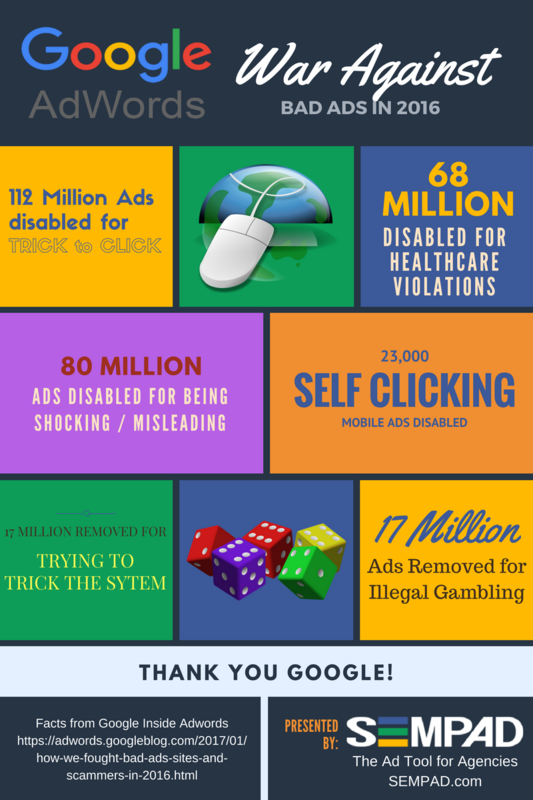 Google released a great blog post about how they tackled the growing issue of bad ads on their Inside Adwords blog. Since not everyone gets excited by pages and pages of text about ads, we’ve condensed the main points into this helpful infographic. Enjoy and share the knowledge if you’re so inclined!